Vienna is a federal state of Austria as well as its capital city. The total area of approx. 415 km² is surrounded entirely by Lower Austria. 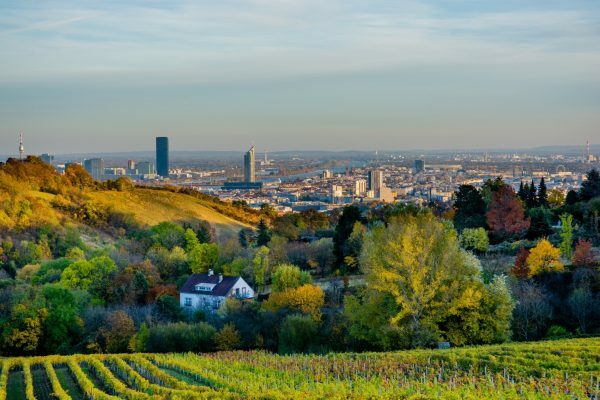 Vienna`s total population is around 1.9 million people and 2.8 million including the population of its surroundings. The population density in the city is 4,025/km². 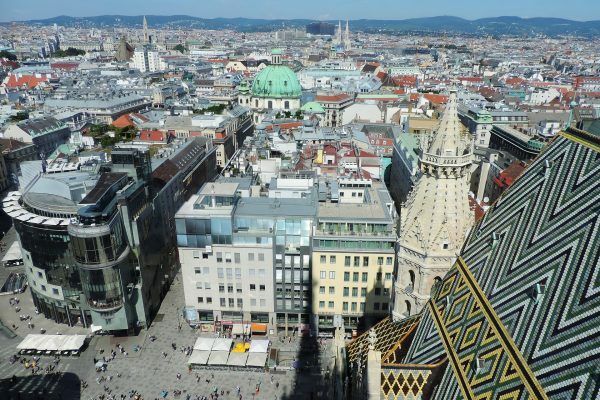 The international Mercer study chose Austria as the most liveable city in the world and acknowledged the benefits of the impressive metropolis. 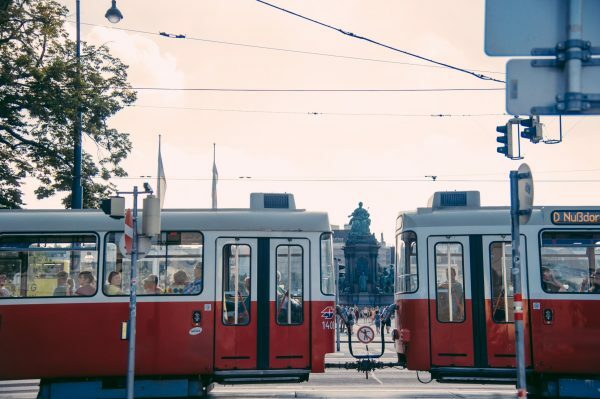 Vienna is an extremely important European traffic hub not only because of its geographical location but also because of its outstanding infrastructure which makes Vienna accessible and reachable from any part of the world. This also includes the International Airport Schwechat which handles approx. 14 million passengers yearly and is connected by Airlines with almost all European countries and many countries of the world, the main haven at the Danube, and the highly developed public urban transport system (tramways, busses, metro lines; the rail transport is composed of four rapid transit railway lines, which establish a continuous connection among the 23 districts of Vienna, other Austrian cities as well as neighbouring countries). 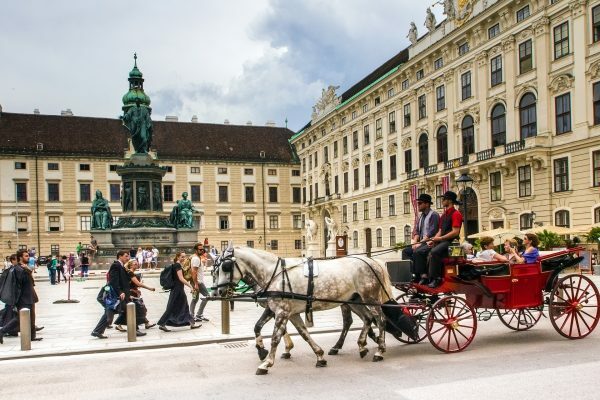 Vienna is one of the richest regions in Europe. 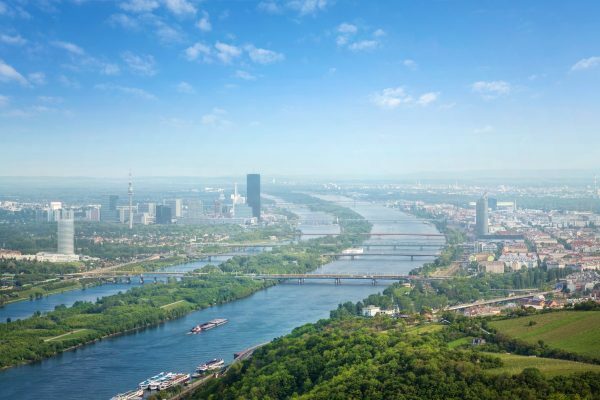 The capital city maintains as the “motor” of the Austrian economy successfully business relationships with the Western as well as with the Eastern Austrian regions and offers its urban population a high number of workplaces (approx. 910,000), thus, the unemployment rate is improving gradually throughout Austria and especially in Vienna for years. Furthermore, the city offers political, economic and social stability not only for small- and medium-sized enterprises but also for big corporations. As the European centre of high-tech development the capital city supports and enhances various projects as for example the public sponsoring programme Life Sciences Austria in the field of biotechnology. The capital city started as one of the first to develop a new economic sector, the so called Culture and Creative Industry. This sector is concerned with the creation and medial distribution of cultural and creative goods, ensures the visibility of creativity-based services and enhances the public culture offerings. One of the ten largest cultural complexes in the world, the Museumsquartier, is located in Vienna nearby the former imperial palace Hofburg. It is a magnet not only for art and culture enthusiasts but it is also a popular meeting place especially in spring and summer times due to its inviting architecture and outstanding gastronomy. 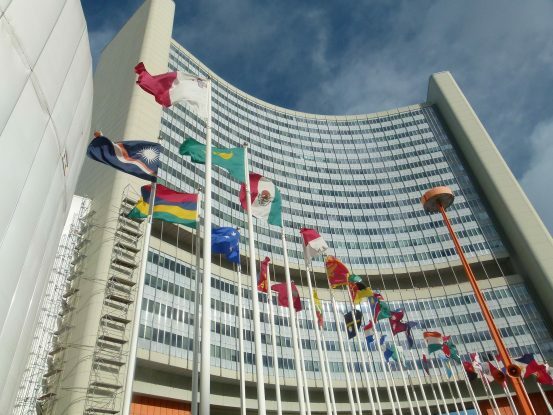 Vienna is after New York and Geneva the third most important headquarter of the UNO and various other important international organisations as OPEC and OSCE. The UNO-City accommodates also the following committees and organisations: UNCITRAL, IAEO, UNODC, UNIDO, UNHCR, UNOOSA, CTBTO etc. In the beautiful capital city there are also headquarters the biggest Austrian banks. The Viennese industry is characterised by the metal, electric, mechanical engineering, and food sectors which contribute always to the stable economic structure. Thus, investments in real estate in Vienna are seen as a riskless method for generating profit. The architectural cityscape is characterised by buildings of all types of construction from different epochs and offers a picturesque view: from the magnificent baroque era over the golden modern era up to the present minimalism. Furthermore, Vienna offers its prospective buyers a rare and outstanding opportunity compared to other metropoles: residential properties are located right in the centre of the city and due to numerous park complexes still wrapped by the green. This shows that the ecological consciousness of the city enjoys high importance. Projects like Urban Garbening and Urban Farming emphasize the importance of the nature and also beautify the cityscape. In the 50s of the 20th century the construction of municipal housing has begun. These and various other construction projects over the decades stimulate constantly the real estate market, ensure stability and provide a wide range of residential and commercial properties to every taste which meet any budget. The costs per m² depends on the distance to the city centre (detailed information please refer to the specifications for each district of Vienna). Summing up, the stable economy and legislation guarantee solid investment possibilities in Vienna as well as throughout Austria. Vienna is one of the touristic most attractive European cities. More than 10 Mio. tourists visit the numerous historically and culturally valuable tourist attractions of the federal state yearly: the picturesque city centre which is listed a World Heritage Site, various museums (Albertina, Leopold Museum, Museum of Art History, Museum of Modern Art, etc.) the Vienna State Opera, the concert hall Wiener Konzerthaus, St. Stephen’s Cathedral, which construction finished in 1147, the former imperial summer residence Schloss Schönbrunn, the Wiener Hofburg which is the former principal imperial palace of the Habsburg dynasty rulers and today`s official residence of the President of Austria, the baroque palace Belvedere with an own art gallery, the State Hall of the Austrian National Library, the Imperial Crypt (also called the Capuchin Crypt), forest parks (Wienerwald, Prater, Riede), etc. The attractiveness of the Viennese tourist attractions and the variety of international exhibitions, congresses, conferences, and festivals attract every year many tourists and business people and thus, offer lucrative investment possibilities for prospective hotel purchasers. Furthermore, numerous higher education institutions guarantee a year-round student flow and therefore stable renting profits. In view of all those considerations, Vienna provides outstanding investment possibilities.